The state of Manipur has driven down tuberculosis numbers but its high levels of HIV, coupled with shame and secrecy, are threatening to undermine progress. The tiny two-room mud house in a wooded lane of Manipur in north-eastern India is as unassuming as its owner Lata, a 43-year old widow and mother of two. Like her smile, it is welcoming. A week ago that smile had lit up the counsellor’s room at the Manipur Voluntary Health Association (MVHA) office in Manipur’s Imphal West district. “Is it okay for my sons to eat with me? Will the disease pass on to them also?” she asked, smiling nervously at Sushila the staff nurse, in an attempt to cloak her fears. Lata, mother to two teenage sons, is one of the 7,500 women living with HIV in Manipur. She was diagnosed with tuberculosis a few days back. Around five years ago her husband, a goldsmith, died after suffering symptoms which resembled HIV-TB co-infection. However, primarily due to poverty and partly due to ignorance, there was no formal medical diagnosis before his death. Lata is still puzzled, “We were in love for nearly ten years before getting married. He was such a quiet man, never did drugs or had extra-marital affairs. How could he be HIV positive?” she says. Manipur is one of the states in India hardest hit by HIV, initially because of its drug problems. It borders Myanmar, is close to international heroin smuggling routes and what started as an epidemic largely confined to injecting drug users is now spreading to the general population. A week later as we shared a plate of spicy salad and fried chick peas in a teashop near her house she carefully ate only from her side of the plate. Stigma and discrimination runs high in rural townships and villages in Imphal East district, where she lives. “Just after my husband died, I was very ill. So many rumours floated around then. People whispered among themselves that my husband had died due to AIDS and I was afflicted with the disease. “It was so bad even then. I mean, we didn’t even know if my husband really was HIV positive or not. Now if they know my HIV status, it would be worse,” she confided. She will begin antiretroviral treatment for HIV next month. “Just thinking that I have to take all those medicines at one go makes me dizzy,” she says. TB is the leading cause of death among people living with HIV worldwide. 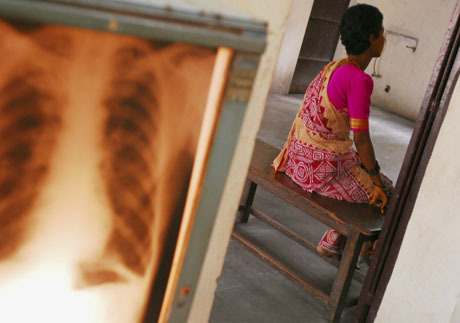 According to government reports, around 1.8 million TB cases occur annually in India, making India the country with the world’s highest TB burden. Its HIV prevalence rate is the third highest in the world. Dr Potsangbam Premlata, medical officer at the Manipur Voluntary Health Association (MVHA) is in charge of a three year HIV-TB co-infection project. “Around 60 per cent of HIV deaths in Manipur are due to TB co-infection. Coming to terms with two highly stigmatised and fatal diseases is a hard job. Therefore, we lay maximum emphasis on good counselling,” she says. The Manipur State Aids Control Society (MSACS) reports around 166 HIV-TB co-infection cases in 2007. Many more cases go unreported or hidden. Research carried out at the Institute of Medical Sciences Hospital (RIMS) Hospital in Manipur in 2005 found 55 per cent of HIV-positive patients were infected with TB, compared with 25 per cent of non-HIV patients. Dr Ak Khamba, the State TB Officer of the Manipur Tuberculosis Centre, and Dr N Yaima, officer in charge at the Indian Council of Medical Research Manipur Unit agree that the HIV-TB co-infection signals the revival of the old TB enemy, which is endemic in the region. Dr Ak Khamba emphasises the need for a strategy to control the twin burden. “There has been a steady decline in the number of TB cases in the state with the introduction of the Revised National Tuberculosis Control Programme (RNTCP) as per World Health Organization guidelines. “In the last five year alone, among those registered for treatment, the number of TB patients who have died has gone down from 250 in 2003 to 57 in 2007,” he reports. Patients with tuberculosis must take medication each day for several months under the Directly Observed Therapy (DOTS) regime, otherwise they risk relapsing or developing drug-resistant strains of TB. In Manipur a study by the CARE Foundation, an NGO founded by former intravenous drug users and based in the state capital Imphal, found many users struggled to abide by the strict DOTS regime or were put off by the large number of pills they had to take. Many TB patients stop taking the drugs when they start feeling better and don’t complete the treatment. Forty-three year old Gopal is presently battling HIV-TB co-infection for the third time. He was one of the first generation of intravenous drug users (IDUs) to test HIV positive in the early 1990s. “My family, fed up with my drug habit, kept me in jail thinking it would help me kick the habit. I was among those tested for the first time for HIV,” he recalls. When he was also diagnosed with TB co-infection, his parents took him home. “It was so different back then. We used to buy the TB medicines ourselves. There was also no knowledge about HIV and AIDS, no counselling. There was so much talk going around, [such as] we will die within five years,” he recalls. Gopal started taking TB medicines for the third time in February this year. “After taking medicines in 1990, I was alright. Then about two years back, I was diagnosed with TB again. But I had stopped taking medicines after a while when I became stronger,” he says. Gopal whose CD4 count is 138, has also been taking antiretroviral medication for the past two years. Twenty-nine year old Martin, who has been injecting heroin for the last 13 years, earnestly inquires whether he can stop the TB medicines since he is feeling well, and he is also already taking ART medicines. “It is just too many pills I have to take. It leaves me time for nothing else,” he complains. Martin had been taking DOTS medicines since February this year. Another drawback is the lack of facilities in Manipur to diagnose and treat multidrug-resistant (MDR) TB and extremely drug resistant (XDR) TB. Hospitals must send test samples of suspected MDR TB and XDR TB to labs in Mumbai or Kolkata at the cost of around 5-6,000 rupees (US$117 to US$140) a sample. Most people, especially those already living with HIV and AIDS, cannot afford the test. An intermediate referral laboratory is being set up but it is not yet operating. A far higher number of men than women go for TB treatment. While fear of stigma and discrimination is one major cause, the underlying cultural and traditional roles and practices in this patriarchal society prevents women reaching healthcare providers in time. “Most women who come to consult me come in terminal stages,” says Dr S Bhagyabati, co-author of the study into TB-HIV carried out at RIMS hospital. She also found that due to unequal gender relations women are usually brought in by their own parents or siblings, rarely by their husband’s family, despite the fact most women live with their in-laws. What’s more, many of the women who do consult a doctor are widows like Lata who have to support an entire household. “I am the only provider in my family. I can’t therefore spend too much time going to the health clinic and other places,” Lata says. She weaves the traditional silk rani phi – a delicate wrap used around the upper body by Meitei women – earning between 1,500 to 2,000 Rupees (US$35 to US$45) a month. She relies on local middlewomen to supply the threads and buy her finished products at a much lower price than if she sold the clothes directly. Martin, Gopal and Lata’s names have been changed. This feature draws on findings in the study “HIV and TB Co-infection: A Study from RIMS Hospital, Manipur” published in the Journal of Indian Academy of Clinical Medicine (Vol. 6, No. 3. July-September, 2005) by S Bhagyabati Devi, Santa Naorem, T Jeetenkumar Singh, Ksh Birendra Singh, Lallan Prasad, Th Shanti Devi.